I kind of thought the title would either grab your attention or baffle you. What does it mean and why did I pick it? I was going back and forth about what I would discuss today. Philosophy, ideology, mythology, anthropology or theology? Maybe a little of them all if you can connect the threads for yourself. Pamela invited me to her blog. Thank you! She said she had a blog about supernatural creatures. Hi I’m a.c. Mason. I know a little about supernatural creatures since I sometimes feel like one. When I’m not being a strange creature I’m an evil master mind plotting to take over the world. As you can see, I’ve yet to reach my ultimate goad. Lol. I’ve also worked on many races of supernatural creatures for my books, but I’ll focus on the two that are currently published. My first creatures were the Aequitas. For those of you that don’t know aequitas, equitas is Latin for: justice, fairness, equity. I liked the first word a lot. 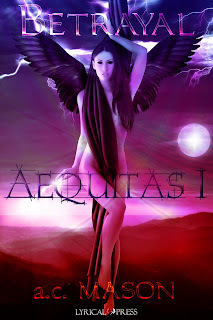 And I christened my creations the Aequitas. Travel through realms and planets. They can fly with angel’s wings that come out of their back, they can learn to harness inner peace, and work on the side of what is just. They exchange blood to share their most sacred gift a part of their soul. They have demon strength, cunningness, and speed. Their eyes turn black when using demon attributes. They can collect and release souls. They are a race of slaves, born into servitude with the purpose of balancing good and evil. They are the equalizers between the forces of good and evil. The duality within them was wonderful the play with as a writer. Having the universes as the backdrop gives me a lot of freedom, but Earth, Heaven and Hell play big roles. 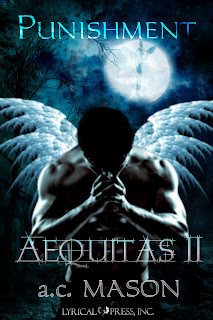 In Aequitas I Betrayal you are introduced to the world of the Aequitas and their saga continues in Aequitas II Punishment. 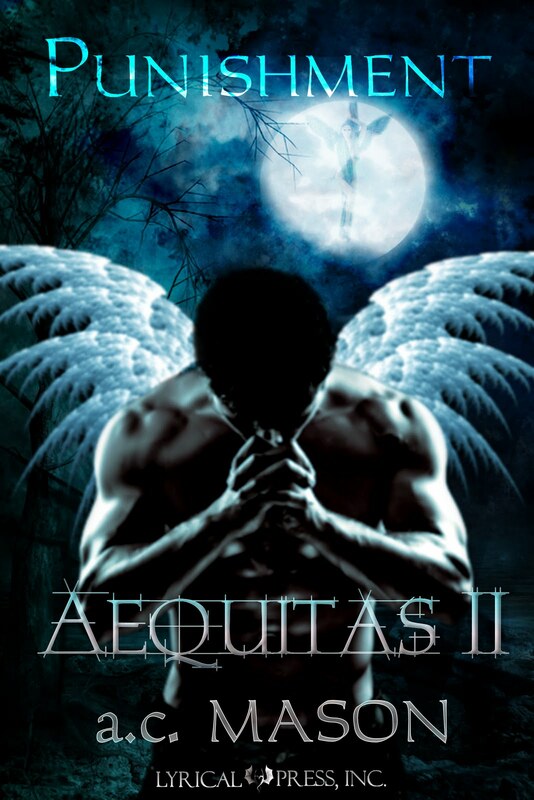 I’m currently working on the final book of the trilogy Aequitas III Redemption. My second supernatural creatures are the Shunu. I’d learned about the Shunu, one of three sons of a God known by some of the Turkic peoples while doing other research. I do far too much research. I know a lot useless information. Shunu is a lupine (relating to a wolf or wolves) deity and my shifters are his descendants. The mythology of my wolf-sprits comes from the Turkic beliefs. They can shift into spirit form or solid wolf. Each has a second ability. VanWolf dreams of possible futures. You have to read the series to find out what the other pack members gifts are. 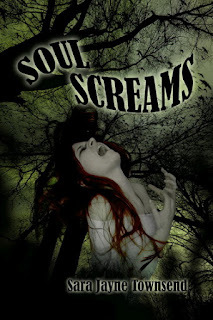 But Shunu aren’t the only supernatural creatures in the Wolf-Spirit series. There are werewolves-a mixed breed (Part Shunu and Human), Amyrsana—chieftain (witches and warlocks) and the Aru tos—deities (demi-gods). In Chocolate Damsel you are introduce to the Wolf-Spirit series and the harrowing adventure continues in Chocolate Temptation. 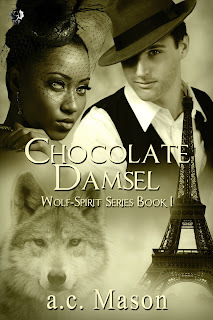 The wolf-spirit series treks through WWII starting in Paris France when the city is occupied. I do intend on writing other wolf–spirit novellas in different time periods. I hope that give you a look into my supernatural creatures and me. Now I have a question for you. Why do we seem to want human salvation to come from the supernatural? Have we lost faith in our fellow man? If you want to learn more about me, a.c. Mason or my books you can find me at www.acmason.com and my books here. Pamela thanks for having me and my strange creatures by. Hi a. c. & Pamela! a. c., it really impresses me when an author colors outside the lines, so to speak. It sounds like you've done so with both of these series, so brava! As for losing faith in our fellow man, I don't think we've completely lost it, but I do think it's been sorely tested. I think we've all seen how difficult it is to motivate members of our own species to work towards positive change without the threat of immediate, dire consequences. And even then, money and power have their influence. 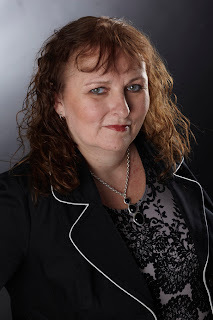 I think readers see supernaturals as beings who have both the abilities and the focus to accomplish great change in a much more timely fashion. And look damn good while doing it---LOL! I wish you much success with your works!